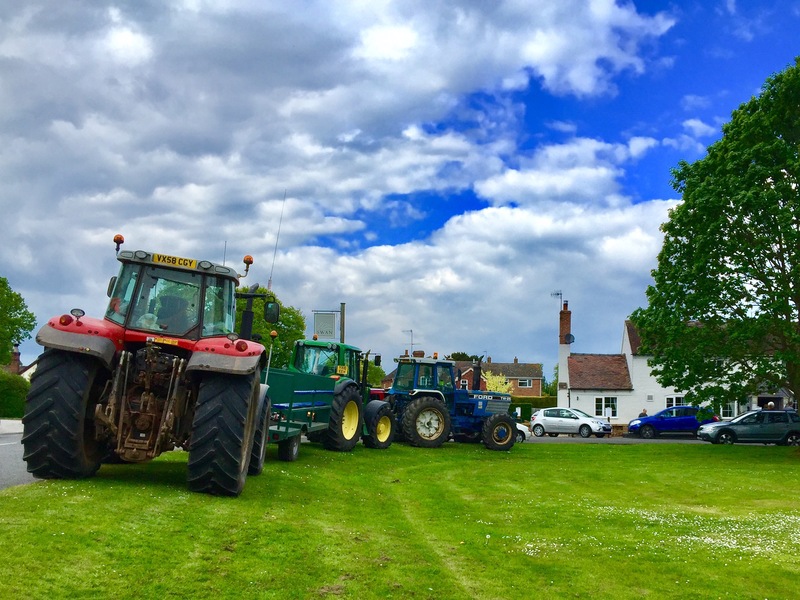 You don’t often see tractors parked up outside the pub, especially in an array of colours. But it is May Day so perhaps it’s a tradition. I found two things I had recently lost today so I was very pleased with myself. The best part was that my logical deduction had been right and in a sense they were in places I thought they ought to be. It was just my final placement was flawed in one case (the wrong handbag) and somewhere I hadn’t thought of in another (a kitchen cupboard full of “stuff” I had forgotten about).